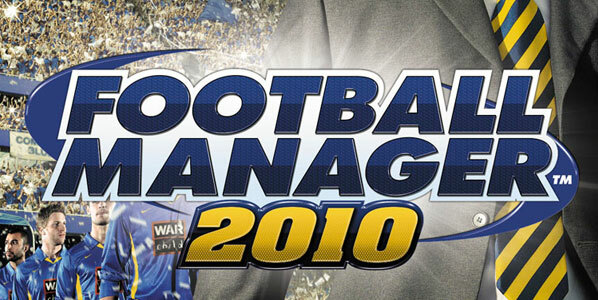 The record breaking, best selling, grand daddy of all management simulation games is back, with Football Manager 2010. Last year's edition stuttered a bit in terms of critical response, will this one be a return to form? This series has reportedly been cited in numerous divorce cases in recent years, so get ready for another life consuming masterclass in addictive gaming. Most notable in this year's edition is a complete interface redesign, with the sidebar removed and everything accessed now from tabs at the top of the screen. It takes some getting used to, but it definitely looks slicker, and once you play around with it for a bit you'll find it easier to navigate as well. The next big addition is the retooling of the ingame tactics. The slider bars are a thing of the past (though you can get them back if you want), as are the movement arrows. Instead, you will assign 'roles' for players, each of which contains their own specific tactics and instructions (which you can tweak further in player instructions. Admittedly, you could pretty much do this beforehand with the preset player tactics in old games, but now it's much more in the forefront of how the game works, and with far more specific roles than were previously available amongst the presets you can now really get the team playing exactly as you want. You also now have a 'create tactics' wizard which lets you design your system from the ground up. Quite awesomely, you now have the ability to give touchline instructions during a game, allowing you too instantly affect changes on the pitch withe phrases like 'push up' or 'get stuck in'. It's pretty revolutionary actually. All of the above makes this by far the most tactical football manager game ever. Now before every single game I find myself tweaking tactics, and constantly shifting them during a game to match the changing circumstances. And to help with this I have another new feature, backroom staff advice. Now every member of your coaching staff will offer you tactical advice before games, as well as tips on new training exercises and updates on how players are doing, and you can call these backroom staff meetings whenever you see fit. This is another major new addition which will see you carefully selecting your staff now, and connecting with them in ways you couldn't before. On top of all this, there is now a much more detailed post match analysis screen with a wealth of information for you to dissect, as well as the expected improvements to the 3d match engine, which include better animations and a more realistic engine. It's not perfect, but It's definitely improved, and with regards to the match engine you will notice far fewer moments where you concede goals from absurd goalkeeper blunders or defenders ignoring the ball sitting right next to them or 50 yard strikes as were so often the case in last year's somewhat buggy edition. Teams also appear to be better balanced than they ever have been in the past, with my games producing very realistic results and just the right level of difficulty. All in all, this game just felt right, and far more realistic than past entries into the series. Meanwhile, there are issues. For example, I noted that it is still far too difficult to sell players, where often they will simply reject any contract from another club. Also, don't buy this game online through one of the digital download services. There have been numerous reports of it just not working, and in my case, using the abysmal eSellerate for the Mac download I still keep getting bugged by registration pop ups, and for some reason i keep getting a pop up that opens up at the shopping cart asking me to pay again... hmm. Overall, this is easily the best Football Manager game yet, and provides a frighteningly realistic simulation of running a football club. Prepare to lose many weeks of your life, because this is the epitome of the genre.